Electric car conversions are a great way to make use of alternative fuels without purchasing a commercial electric vehicle. 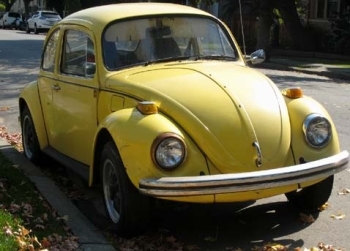 One of the best cars to use, since they’re readily available and light weight,is an old Volkswagen Beetle. Unlike the new Beetle, these cars don’t contain complicated circuitry and computers, making it much easier to convert them into electric cars. Beetles newer than 1995 are difficult or impossible to convert, due to their computers, but older ones are entirely appropriate for an electric vehicle conversion. Here’s a quick overview of the VW Bug Electric conversion process – of course, no short article can ever tell you all you need to know for an EV conversion. This is just the basic information you’ll need to get started. There are a number of kits you can purchase for Volkswagen VW Beetle conversions, depending on what you want out of your electric car. The least powerful offer around a twenty to thirty five mile range and a top speed of thirty-five to forty miles per hour, creating an electric car that’s useful for short trips on smaller streets and roads. A slightly higher power system will bring speeds up to forty-five to fifty-five miles an hour and extend the range to twenty to fifty miles, depending on the speeds the car is driven. If you’re interested in highway driving, you can choose a 120 volt or greater system, offering speeds around sixty-five miles per hour or more with a range of sixty miles or greater. The more batteries you include with your VW Bug electric car, the greater your range will be. Driving more slowly also extends your range. However, more batteries means a greater expenditure and more weight on the car. Pay attention to the suspension in your vehicle when you choose your kit or components. Conversions will work with vehicles that have automatic transmissions, but they’re not recommended. That’s because an automatic transmission is much less efficient than a manual, and will drain your batteries more quickly. You’ll want to remove the clutch, flywheel, pressure plate and related parts of the car, since most electric conversions use a clutchless system. Batteries are usually installed in the engine compartment and front storage compartments of a Beetle, with additional batteries installable behind the back seat, under the back seat, and in other cases. Construction of battery racks may be necessary, depending on where you’re going to put your batteries and how many you need to store. Most conversions should use no more than twelve batteries to avoid needing to replace the car’s suspension. A Volkswagen VW Beetle is a great choice for an electric car conversion. Check out all your options and see what’s available for the way you’d like to drive. You’ll be surprised at how easy and inexpensive it could be to enjoy the benefit of an electric vehicle of your own. If you are planning you own VW EV conversion, check out Gavin Shoebridge’s Electric Conversion Made Easy e-book. It’s a step by step e-book with 11 High Definition (HD) instructional videos. For more information, click on the link below. ==> Click here to visit Electric Conversion Made Easy! The VW Firefly seems like a good donor car for EV conversion. It has lots of space for the batteries. I have never seen anyone doing an electric car conversion and yet keeping the internal combustion engine. The electric motor will be hooked up to the existing transmission. 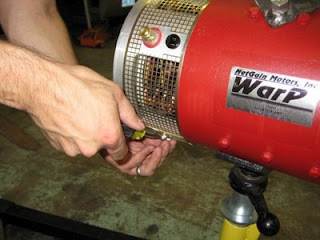 Without removing the engine, there is no space to bolt the electric motor in. When I put the VW beetle drive train under the back the electric motor will replace the VW motor attached to the VW transmisson, so I will be doing a VW beetle electric conversion. I would have to have 2 clutches and a few tecnical things to work out.